This post covers some of the criminal activity that has allowed the Commonwealth Bank of Australia to announce a $8.68 billion profit today (Wednesday 13-8-14). The bank is involved in massive fraud and theft from its customers that has been proven at a couple of recent senate inquiries. The bank has admitted as much at least as far as fraud in their financial advice area is concerned. A major part of recent corruption is the insurance type fraud that the Commonwealth Bank has used against HBOS (formerly Bank of Scotland). The Commonwealth Bank bought Bankwest from HBOS in October 2008 for $2.1 Billion and as part of the agreement had a “warranty” provision that if any customers defaulted on their loans the Commonwealth Bank could “clawback” that amount from the purchase price. For example if 100 customers defaulted on business loans totalling $200 million the bank would be reimbursed the $200 million from HBOS and the original purchase price would have been reduced from $2.1 billion to $1.9 billion. 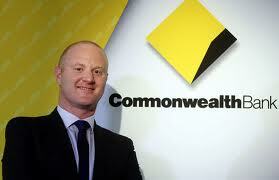 Management at the Commonwealth Bank then decided to make as many customers as possible default on their loans. The second video below explains the full benefits to the bank. I started writing this post in relation to a win Sean Butler had with his website against Challenger which is a large Australian financial company. But the research led to the Commonwealth Bank and how they ripped off Bankwest customers hundreds of millions of dollars after they bought Bankwest towards the end of the Global Financial Crises (GFC) in October 2008. But I will start with Challenger and their bullying tactics as they attempted to close down a critic. 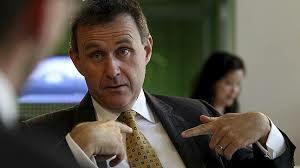 Sean Butler says he was ripped off millions of dollars by the Commonwealth Bank owned Bankwest. His story is consistent with thousands of other complainants who have been ripped off either by Bankwest or the Commonwealth Bank which has been revealed in recent Senate Enquiries. So why all the expense of trying to close down one website? Because there are billions of dollars involved and possibly also because it led straight back to the multi-million dollar fraud that has been exposed at the Commonwealth Bank/Bankwest. Sean Butler part-owned a number of hotels with Brian Benari who is now CEO of Challenger. Bankwest foreclosed on their loan but the receiver allegedly did a secret deal with Mr Benari to sell him one of the hotels at a greatly reduced price. This is what led to Mr Butler setting up his website www.challenger-info.com which blows the whistle on what happened. The large companies and their executives not only try to use the legal processes to close down reporting of their corrupt conduct, they also use lawyers to try to bully people who take legal action to recover their stolen money. The old drag out the proceedings and run up the other party’s costs is a standard routine which clearly the Commonwealth Bank have been utilising under the leadership of CEO Ian Narev. The first video below is Sean Butler at the 2012 Senate Inquiry into the Commonwealth Bank and Bankwest. It is well worth watching and a real eye opener as it gives a real life example of how the scam worked. The video below shows the key benefits that motivated the management at the Commonwealth Bank to commit the fraud that they did. The perfect crime is to work for one of the big banks and commit fraud and/or theft as you are untouchable, especially at the Commonwealth Bank and Westpac. They make their staff push the boundaries and exceed the boundaries of what is legal in order to gain business from customers. Because of this they do not want any staff to be prosecuted for crimes because if some staff are that will send a message to other staff not to break the law anymore. Then sales and new business will contract and reduce profit which means reduced bonuses for management. That is why CEOs such as Ian Narev at the Commonwealth Bank and Gail Kelly at Westpac are more than happy to conceal the corruption in their companies. They play the dummy routine and say they do not know anything. The fraud is still happening now although some people are starting to get justice and compensation. If the public pressure continues then the government will likely initiate the Royal Commission many are calling for and maybe then all the victims of the fraud might get justice. Admin: The Trade Union Royal Commission will be sitting in Sydney for the next 3 weeks covering 4 unions. (Click here for more details) I didn’t manage to get to Brisbane as hoped for but I will be as the RC in Sydney as much as possible. I was one of those subjected to the BankWest/Commonwealth dirty game of clearing their books immediately following the Financial Industry Engineered GFC although the earnings they made of mine would be considered peanuts to them. A small family business burned as a direct result of THEIR mistakes with THEIR own paperwork! I witnessed first hand how the multitude of “hangers on” put out their hands knowing full well that they are protected by the mighty banker’s indemnity clauses. I also watched first hand as the big legal firms actively colluded (Gadens & SLAG) to quickly make it disappear. Bankers being underhanded? Never! That can’t be right. Those scumbag lawyers/barristers knew full well what was occurring but play this game of disbelief when it is pointed out. It was no fun being made the scapegoat for my ex husband’s mid-life crisis. He was the fool that agreed to make it go away as he had no fortitude to fight for OUR rights. He was not a party to the legal agreement with the lawyers but those hypocrites actively engage in sexual discrimination by marital status to take instructions from whomever they want to get it all over as quickly as possible. Justice? Not with the legal profession. That’s simply a dream on my part. I saw the 3 different dates being quoted as to when we were supposed to have signed the bank loan paperwork. I do know which date we went into the Perth CBD @ 5.30pm to sign. Despite many requests, we have NEVER been given a copy of the Loan Agreement (LAF) that is supposed to be handed over at the time of signing – not even a single page, let alone the entire document! SLAG had no stomach to ask for this even though I did request them to obtain it. The preferred to listen to my weak ex for instructions to “make this go away” with a cheque for $15k against $500K (do the math to see the percentage for silence & who is the winner versus who is the loser!). I have absolutely no idea what criteria was used to determine the loan but what I do know after going 2 rounds with that toothless tiger formerly known as the BFSO (now FSO) is that our business loan structure was changed beforehand by collusion between Southshore Finance & BankWest & that BOTH parties failed to advise us of this significant change – ever. It was by pure chance that I came across it from not giving up. I did put in a submission to that Senate Inquiry in August, 2012 but was thoroughly disillusioned with the recommendations that came out in the report. It was nothing more than a political exercise of empty promises: “if we get in at the next election, then we will . . . . ” & you can guess the rest . . . . more empty promises of a grass roots inquiry to keep you dangling while they pontificate about a possible royal commission into the bankers. All I see is financial warfare being waged against our own constituents to keep us down & dependent upon the government.